The Registration & Fees Payment System is now inside of PowerSchool. For payment of Registration, Textbook Rental, Course Fees, Athletic Fees, and optional items such as Activity Passes and Yearbooks, parents/guardians may connect to PowerSchool. Within PowerSchool, parents/guardians can use their Visa, Master Card, Discover Card, or a check to make payments. Additional details on how to use the payment system can be found on our parents registration support YouTube channel. 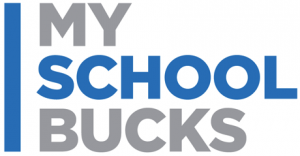 MyLunchMoney.com is used for crediting a student’s lunch account. The fund balance is stored using the student’s ID and allows them to make purchases in the school’s cafeteria without the need for cash. It also allows parents/guardians to make online deposits to the student account, set spending limits, and track what their student is purchasing at lunch time. Easy to follow on-line demonstrations and how to guides can be found on their website. Debit/credit cards now accepted in cafeterias. New this school year, students also may use debit cards and credit cards to make payments in the cafeteria. We are pleased to offer students and parents/guardians the opportunity to purchase school yearbooks and memorabilia online. Jostens provides this service to all of the Glenbard schools. Please note that all yearbook orders are made directly with Jostens and not with your local high school. You may access this service by clicking on the school links above or by visiting Jostens website.